Do you get that late afternoon energy slump (and hunger!) while you are still facing your commute home? I find when my clients arrive home to make dinner tired and hungry, they tend to start pantry foraging and eating things they end up regretting! A good solution is to have healthy snacks on hand that can travel with you to work to enjoy when that late afternoon slump hits. This a quick and easy to make snack this is bursting with flavor and nutrition! 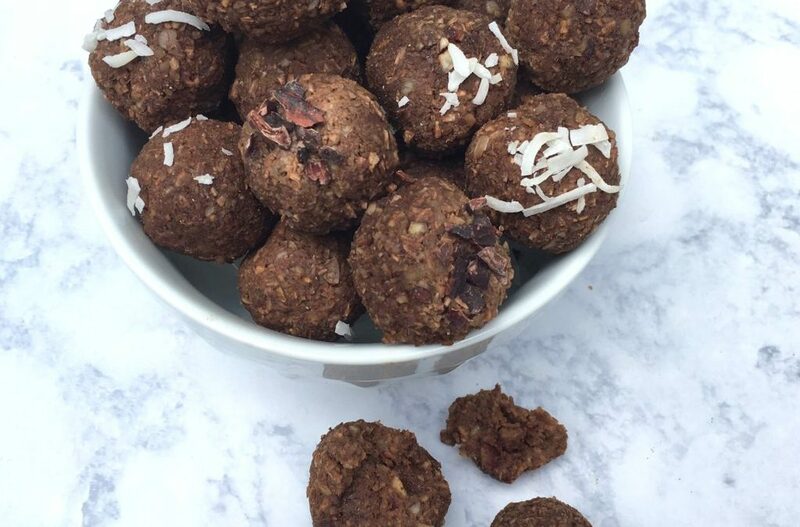 I love energy balls, and this recipe is one of my favorites. This is one of the recipes from my Summer Cleanse program I will be offering in August. Enjoy! BLEND: Blend all the ingredients using a high-speed blender. Take a spoonful and roll into a ball. Set each ball on a tray. Allow the balls to harden in the refrigerator.